HUD has proposed new floodplain development rules that threaten access to FHA financing for single- and multifamily builders and rely on floodplain maps that haven’t been drawn yet. HUD has proposed to expand the definition of the 2015 executive order, which applies to federally funded projects, by imposing costly requirements on the FHA multifamily and single-family mortgage insurance programs. Specifically, HUD seeks to expand its oversight using the freeboard value approach (see illustration below), corresponding both vertically and horizontally with an additional two feet of elevation above the 100-year base flood elevation for new and “substantially improved” single-family homes and multifamily properties financed using FHA-insured mortgages. Single-family homes using FHA financing would trigger the elevation requirements only when they are built within the 100-year floodplain. Multifamily builders would face the added burden of HUD’s elevation requirements (or flood proofing, in the case of “substantially improved” structures) both within the 100-year floodplain and in the expanded horizontal floodplain. HUD’s new flood risk measures would also apply to projects that use federal grants, such as the HOME and Community Development Block Grant programs. “HUD’s proposal will severely disrupt the housing market and harm affordability for millions of Americans living in areas designated under the expanded floodplain definition, where in many cases the odds of facing a flood event are extremely remote,” said NAHB Chairman Ed Brady. In addition to the project design and structural elevation costs that will result if the proposal is implemented, HUD acknowledges that maps of the expanded floodplain don’t exist. This uncertainty will only add to project delays and costs. HUD’s proposed rule is open for public comment until Dec. 27. For more information, contact NAHB Environmental Policy Program Manager Owen McDonough at 800-386-5242 x8662 or NAHB Director of Multifamily Finance Michelle Kitchen at 800-386-5242 x8352. 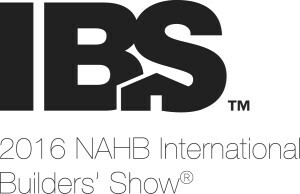 The International Builders Show offers great education and networking opportunities. Registration is now open and in September, spouse registrations are free and they receive the same access to IBS as the primary registrant. The NMHBA Block of rooms are in Hotel Paris and the Westgate. Rooms are approximately $111-113 per night. There are only three weeks left in the Legislative Session, and bills need to get moving if they’re to have any hope of passage before time runs out. Below is the listing of bills introduced of the most interest to NMHBA members. We SUPPORT HB367 Construction License Changes (Crowder) – This bill would fix three technical problems with the Construction Industries Licensing Act and add a requirement for a cost-benefit analysis to determine the economic development impact of code changes. The technical sections would 1.) Not leave the CID Director open to misdemeanor charges if a license approval denied by the Director were over-turned by the Commission; 2.) Make revocation of a contractor’s license permanent, instead of allowing a re-application after one year; and 3.) Clarify the Code Bond may only be “called” when RLD files a claim within two years after final inspection by the Authority Having Jurisdiction. This bill is also supported by RLD. Passed its first hearing.  We are monitoring SB549 Architecture Practice Without License (Griego) – This bill seeks to tighten up on those practicing architecture without a license. Construction projects for single-family homes and multi-family projects that are for four or fewer units are currently exempt from the Architectural Act. We are watching this bill so our exemptions remain. Passed its first hearing. Water Issues  We are monitoring SB550 Regional Water Utility Authority Act (Griego) – This looks to be something of concern for developers. It would allow any two water companies who decide they want to merge to simply do so through a vote of their respective boards, following a public notice without a requirement that the proposal be put to a vote of the landowners within the water districts. A developer could find his land is suddenly within the service area of a water district that has a no-growth board. Scheduled for its first hearing on Monday. We are monitoring SB677 Private Right of Action (McSorley) – This “dangerous” bill language has been introduced in the previous two 60-day Sessions. This bill would allow just about anyone to file a civil lawsuit against their neighbor, his contractor, or state if they are “injured in fact, economically or otherwise, or who is imminently threatened with injury, economically or otherwise” by a violation or even a failure to take action against someone for a violation of a variety of environmental laws, including the Clean Water Act. It would also allow these folks to join in an action of NMED or EPA against the accused violator (such as a contractor who violates stormwater regulations). It retains the 2013 change to exempt action against political subdivisions of the state, such as counties, cities, towns or villages. Just introduced; waiting for its first hearing. The actual text of any bill may be found online at http://www.nmlegis.gov/lcs/. Click on “Legislation”, then “Bill Finder” on left side, click on “Number”, enter the bill number, and scroll down to the file. Call Melanie with any questions or for other information. 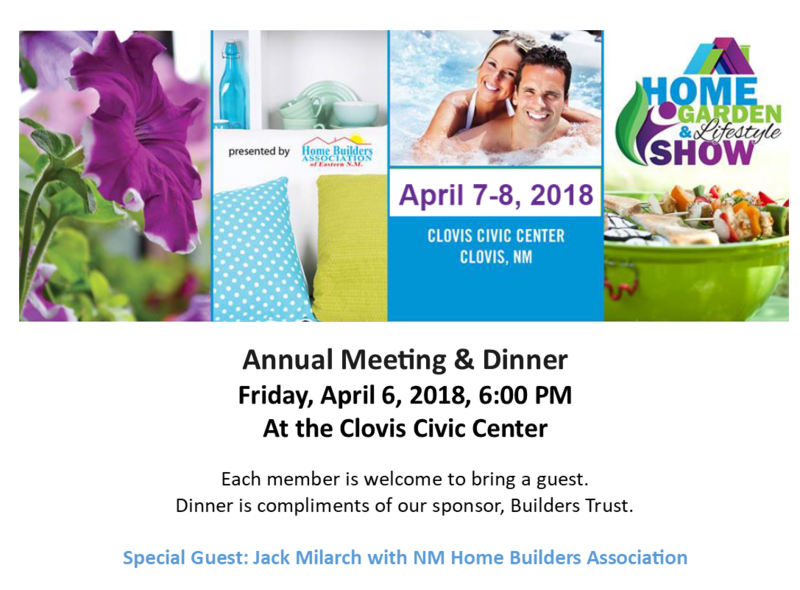 The Member Rebate Program, a free member benefit of our Local HBA, has a fantastic opportunity to recoup your HBA dues! Do you supply or install any of the products from these Manufacturers in your addresses? There are no receipts needed. Simple questions such as your Subcontractor name, Supplier name, a model number, or in some cases just a quantity are asked. The names have been drawn and this year there were eligible entrants from 7 Locals. 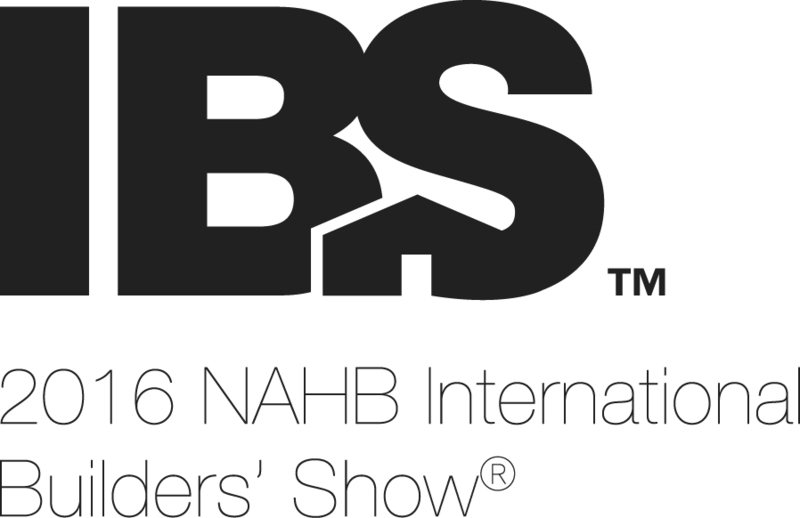 Congratulations to the following winners of a free trip to the International Builders’ Show in Las Vegas in January 2015! Below is an editorial from this morning’s Albuquerque Journal concerning the status of the workers’ compensation system in New Mexico. This is an issue that affects all businesses in the state, and is one that NMHBA has been discussing with legislators around the state when delivering the political contributions from our political action fund. In September 1990, the Legislature convened for an important and productive special session to save the state’s workers’ compensation system by weaving together protections for employees and employers alike. It only took 14 years for the courts to poke enough holes in the reform as to make it much less effective and ultimately unsustainable. • A temporarily disabled worker who is accommodated with a different job and then fired for cause can then resume temporary and later permanent benefits. • An undocumented worker can get full benefits when he/she doesn’t return to work after recovering from an injury because his/her immigration status precludes working legally in the country. • A retired union employee receiving a pension can get permanent benefits for not returning to work at his unionized employer because doing so would affect pension payments. It gets worse. The system forces an employer to take full responsibility for disability benefits for workers whose drug or alcohol abuse contributed to their work-related accident and to pay benefits to convicted criminals while they are in prison. The growing problem of pain medication abuse has been ignored. Meanwhile, a court ruling this May has an employer and its insurer paying for medical marijuana for a worker who suffered a job-related back injury and can no longer work due to a permanent partial disability. It should come as no surprise that all this is showing up in higher costs at a time the employers are struggling to stay afloat. To bottom line it: Higher payouts mean higher premiums, and higher premiums mean more businesses shut their doors, others decide not to locate here while others trim their payrolls. It’s hard to believe this is what state lawmakers had in mind 14 years ago when they put their lives on hold and headed to the Roundhouse to fashion a better system to protect both injured workers and the employers paying their benefits. 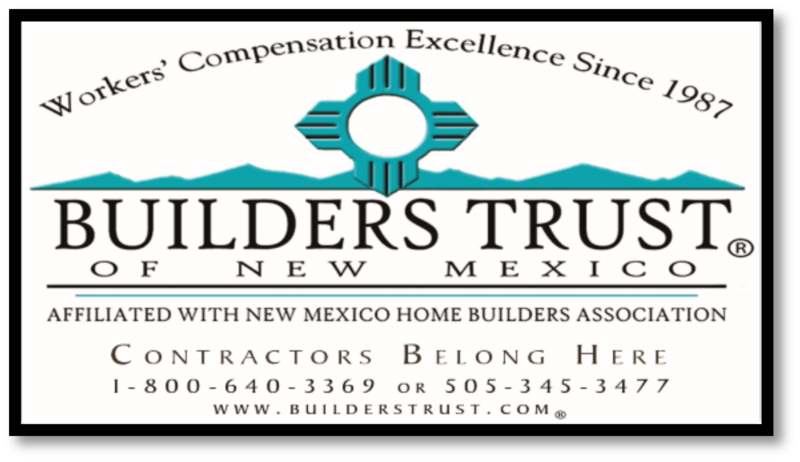 New Mexico’s citizen legislators – folks who run businesses, work for businesses and have taken it upon themselves to do the public’s business – were able to find common ground on workers’ comp in September 1990. It’s important for them to do that again if we want more people working in a more vibrant economy.